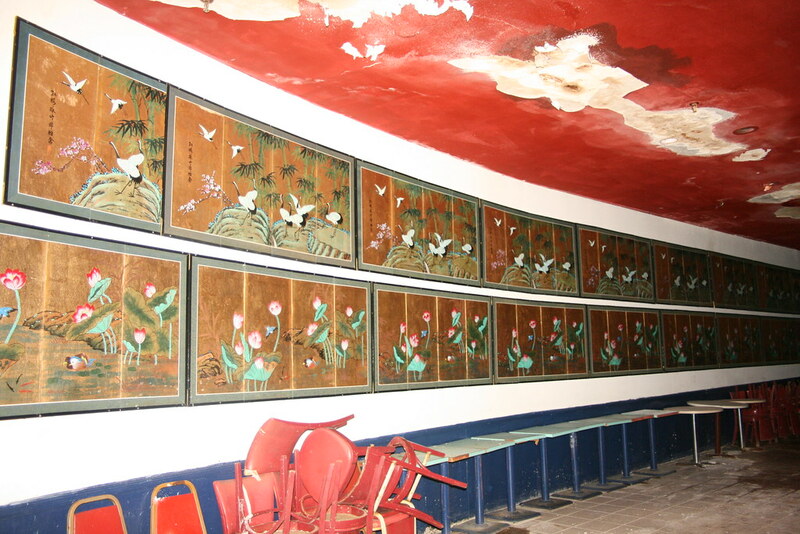 Like all Catskills hotels, entertainment was a central fixture of the resort experience, so it's only natural that this hotel included a large stage and seating area to hold performances. These wall hangings were clearly not original and were yet another over-decoration by the management, would would have been much better served selecting a fabric or textured wallpaper to adorn this wall. Also of interest is the condition of the ceiling, which as you might guess, is at the same elevation as the Bobar (below the water line).